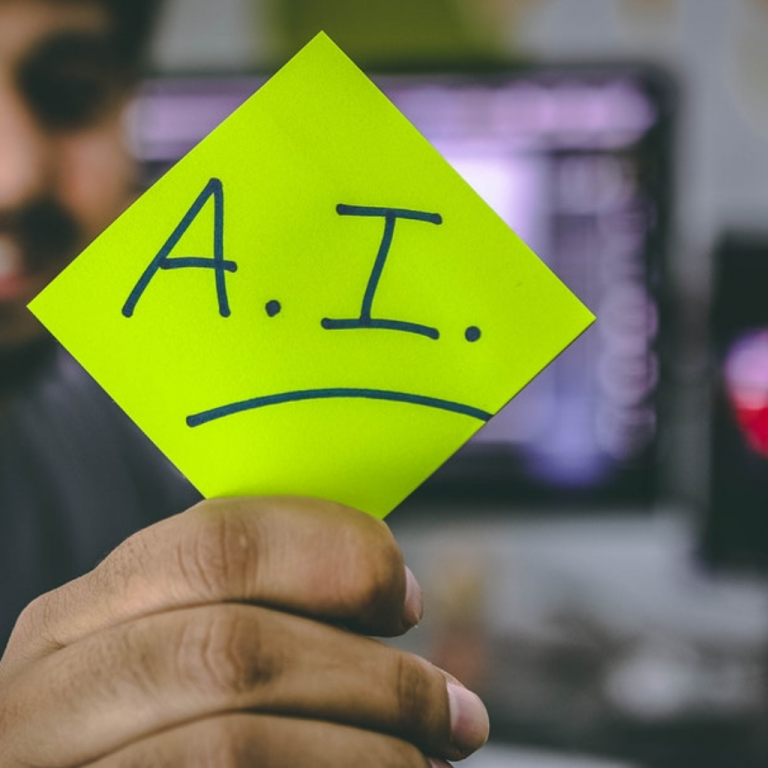 Christopher Penn, THE person you should follow to get smart about AI, and I had a chat recently about how PR pros can expect AI to improve their job functions, and what they can be doing right now to prepare for the future. Here’s a recap. Michelle: What should PR pros understand about AI? Accuracy – You should get better answers than a human might provide. Automation – It should reduce the amount of repetitive work that a human has to do. Michelle: How does this fit in to what PR pros do on a daily basis? Christopher: When you look at what an account coordinator at a PR agency does, a lot of it is manual. He or she may be tracking coverage by using Google to search for articles, which could take hours each week. But when you think that the client is being billed maybe $125/$150 an hour for this work, it can get real expensive real fast, and let’s be honest: spending your entire day Googling and copy/pasting isn’t fulfilling or exciting work, is it? This is also an example of a task that could be easily automated. If you do something more than twice, it’s a good candidate for automation. Another point to consider is can you get to an answer faster? To do media outreach, if you could access who might be talking about a particular topic and get to that reporter in just a few minutes – versus hours or days later – that could help with hopping on a trend to get your brand in a story (also sometimes known as “newsjacking”). Michelle: What else should public relations people expect AI to help with? Christopher: Yet another task where AI can help PR pros is with coverage tracking and sentiment analysis. Public relations practitioners should be reading all the pieces of coverage about a client to analyze them for positive or negative sentiment. But that process is subject to human error as well as fatigue. It’s arduous, sometimes boring work. This is something natural language processing (NLP)/machine learning could do. It could summarize the coverage more thoroughly and faster because it can read every article perfectly. Not only is this NLP version more accurate, but it takes the burden off the person in this role who could be spending time building relationships with journalists and influencers – which is ideally what they should be doing. It’s a win for everyone. Michelle: There’s lots of confusion around the terms, so let’s take a step back and try to understand what it is we’re talking about. Christopher: It’s really important for PR pros to understand the terms when it comes to AI. They’re often used interchangeably. It’s good to have a basic knowledge so that you know when a vendor is trying to sell you some AI-based technology that isn’t really AI. AI is fundamentally statistics and math. It’s probability-based at its core. It’s training a machine to think like a human by using statistical methods. With machine learning, you feed in lots of data – it self-assembles – that’s the value of machine learning. If you tried to write software that could predict every way someone could talk about your brand, it’s not going to happen. When it comes to analyzing media coverage, you can teach the machine positive versus negative. With supervised machine learning, you’re training it to recognize a pattern. With unsupervised machine learning, if I gather all the mentions of your brand, what words are most closely associated with that? It can build clusters of understanding what the brand is really about. For example, if it finds lots of mentions that your product is “too expensive,” it will show you that pattern. So it’s good for PR pros to understand the differences in these, so they at least have a baseline understanding when they talk with vendors. If they ask, “What kind of machine learning are you using? What are you doing? How does it work?” And the vendor If they can’t answer, it may not be a wise investment. When a vendor says it has AI – what kind? What’s under the hood? What specific techniques does the vendor use? A vendor that can’t answer those questions probably isn’t the real deal, and you certainly shouldn’t pay a premium for it. Michelle: Can you give me an example? Christopher: Take Talkwalker, for example. They just won an award for their use of AI, which is supervised machine learning/classification. I had a chance to sit down with them behind the scenes to see if they were the real deal or not. Here’s how this works. Say PR pros want to find articles that mention PR – but not the ones where PR stands for Puerto Rico (its abbreviation is PR). So, they can start flagging it. The human provides the training library – and the machine learns that anything related to Puerto Rico isn’t relevant. Now, on the other hand, if you’re a journalist covering San Juan, the capital of Puerto Rico, you do want those mentions. So you can build use cases that are customized for your needs. Michelle: But does every vendor who says they have AI really have AI? Christopher: It depends. Some of the vendors who say they have AI built in – it’s not really AI; a vendor recently revealed that their algorithms did such a poor job, they instead outsourced to humans overseas. When you say you have AI – I expect that you are doing supervised or unsupervised machine learning (including stuff like reinforcement learning/deep learning). It’s also about expectations. If it says AI, most people are expecting magic. They’re expecting Watson in a box. That’s not realistic expectations on the user’s end. Michelle: So, what is realistic right now? Christopher: You should be getting to your answers faster. They should be more accurate, cleaner and make more sense. It should be faster than something it would take you forever and a day to do. It should be able to tell you, for example, these are the ten influencers you should be talking to. That should be doable. Versus taking hours to narrow down a media or influencer list. Michelle: What can PR pros do right now to get ready for the future? Christopher: Get educated. This will help you manage your expectations about what AI can do, so you’ll have a better BS detector. Get comfortable with the quantitative side of PR. Take a class. What will happen in the next five to 10 years is that if you’re a copy/paste person working in PR, you’re not going to have a job. But if you have basic data analysis, data science and statistics skills, you’ll be able to fact check the answers and know when the machine is spitting out the right (or wrong) answers. That’s a human quality checker. IBM calls it a human in the loop. You’ll be the stop between machines taking over the world and humanity. Here’s a good analogy. You don’t have to be a master chef to be a great food critic – but you do need to know a lot about food. AI will be the master chef – but we still have to be a food critic. What does the future hold for AI and PR? Michelle: What should we expect in the future? Christopher: The space is exploding quickly. The capabilities of the software are increasing exponentially. There are two things to pay attention to. One is voice recognition. What is your brand strategy in this area? For example, can the Alexas of the world understand your URL? If not, you’re locked out of the AI revolution. The other is video and image recognition. Machines that can read how people are feeling. For example, having cameras that watch everyone in an audience to monitor their facial expressions. So when you’re announcing your next smartphone 11, you can see a meter that tells you their sentiment. If you say something they don’t like, the meter goes from yellow to red. This could be useful for crisis communications, at events, etc. Machines can track it in real time and give you instant feedback before you create a really big crisis for your brand. Amazon’s facial recognition technology is already in production. It hasn’t found its way into the PR world yet. Oh, but give it time. Christopher Penn is an authority on analytics, digital marketing, and marketing technology. A recognized thought leader, best-selling author, and keynote speaker, he has shaped four key fields in the marketing industry: Google Analytics adoption, data-driven marketing, modern email marketing, and artificial intelligence/machine learning in marketing. To learn more about Penn, visit TrustInsights.ai or follow him on Twitter, @cspenn and @trustinsights.